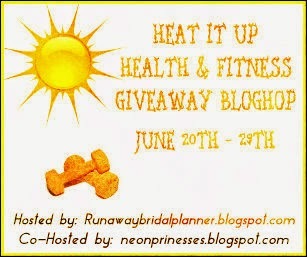 The HEAT IT UP Health & Fitness Giveaway Bloghop is finally here. I know this is the same prize I offered last month, but many people really liked it. So I have decided to offer it again. These are my favorite Jillian Michaels workout DVD's. ONE lucky winner will get their choice of ONE of the below DVD's. 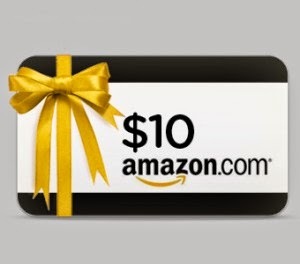 Is a $10 Amazon gift card, so you can use it to buy anything you would like. NOTE: The first winner selected will receive their choice of prizes. Whichever prize is left will be offered to the second winner. So Winner #1 will be posted on my blog and contacted on 6/30 after they have made their selection (they will be given 48 hours) the 2nd winner will then be contacted and posted on the Rafflecopter.